New Delhi, May 04th, 2017: Toyota Kirloskar Motor today announced the launch of all new Innova Touring Sport – a dynamic and sporty offering, for the first time from the brand Innova. As an MPV with a SUV-like styling, the new Innova Touring Sport is a blend of dynamic exterior design, sporty interiors along with superior safety and performance features. The Innova Touring Sport makes a distinguished statement with adynamic new design that’s aimed at people who prefer a distinctive style. Emphasizing on sporty design, the new Innova Touring Sport comes with a perfect combination of design elements. The all-black front grille gives a distinct appearance and together with the smoked chrome headlamps and front bumper spoiler adds to the style quotient of the car. The red stitches on seat and console box along with the exclusive red illumination combimeter lends a sporty look and feel inside the cabin. The Innova Touring Sport will be offered in a new colour- Wildfire (Red) along with White Pearl Crystal Shine. In terms of performance, the Innova Touring Sport carries forward the performance strength of the Innova Crysta. The Innova Touring Sport is available in two diesel engines and one petrol engine. 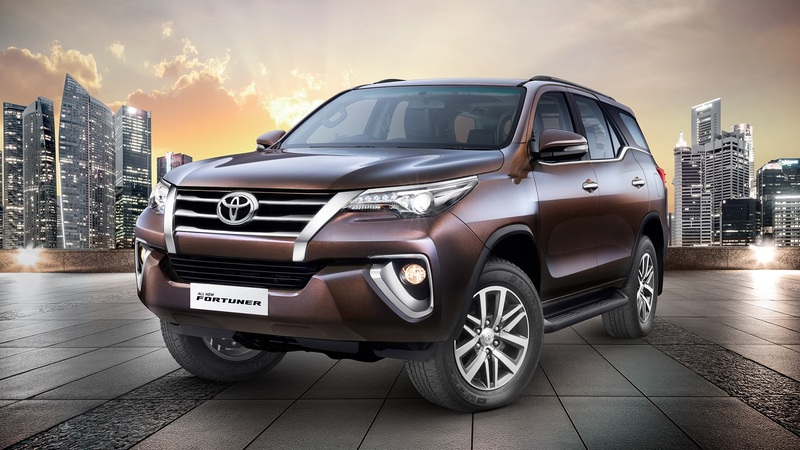 The 2.8 L diesel engine is offered with a 6 speed automatic transmission with sequential shift, while the 2.4 L diesel engine is offered with a 5 speed manual transmission. The petrol variant of Innova Touring Sport is available with a 2.7 L engine offered with 6 speed automatic transmission along with sequential shift and a 5 speed manual transmission. Present at the launch, Mr. N. Raja, Director & Senior Vice President (Sales & Marketing) Toyota Kirloskar Motor said “We are glad to introduce the Innova Touring Sport which is the flagship model from the Innova stable. Brand Innova has maintained its No. 1 position in the segment ever since its launch in 2005 and the Innova Crysta continued this legacy. The Innova Touring Sport enhances the same brand equity by offering a distinct style to a market that wants both the comfort and feel of a MPV and the style of a SUV, thereby enhancing customer delight. We have paid significant attention to styling and the overall look. The new Innova Touring Sport has been conceptualized, designed and developed to symbolize a modern and sporty MPV with a distinguished statement for the young and modern customers. We are confident that the Innova Touring Sport will set new benchmarks in this competitive segment. Launch of Innova Touring Sport also marks another milestone for Toyota in India as the Innova Crysta successfully completes its first anniversary in India. The Innova Crysta has received an overwhelming response and has sold more than 85,000 units in just one year of its launch in India. The MPV segment has always been dominated by Toyota products be it the Qualis back in 1997 and later the Innova since 2005. The brand Innova has maintained its leadership positioning in India and this has been further enhanced by the Innova Crysta launched this very day last year. The Innova Crysta has become a household name and today as we celebrate its one year anniversary in India, we would like to thank our loyal customers for their persistent support and trust in brand Innova. As a brand that is always listening to its customers we realized that the market is looking for something more to differentiate, and the new Innova Touring Sport fulfils the customer and market requirement of an MPV with the styling like SUV. The Innova Touring Sport makes a distinguished statement with a dynamic new design that’s aimed at people who have a distinctive taste &style. The new Touring Sport combines sporty design, advanced technology and sophistication that are bound to delight our customers. 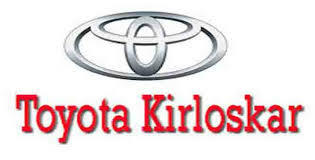 We are certain that with this new offering from Toyota, we willfurther enhance the brand’s appeal in India”, he further added. Competitively priced in the range of Rs. 17,79,000 to Rs. 22,15,500 (Ex-showroom Delhi) booking deliveries will begin from today.